Think back to the last time all of your employees were in the office, at their desks, on the same day. Having trouble? Between travel schedules and off-site meetings, remote staff and teleworkers, flexible schedules and sick days, it’s no wonder that having everyone in the office at the same time has become a rarity. Balance that with the fact that in today’s competitive business climate, organisations are driven and employees are measured by achieving results, and it’s clear how important it is to maintain productivity no matter where staff are located. But it’s not always easy to do. 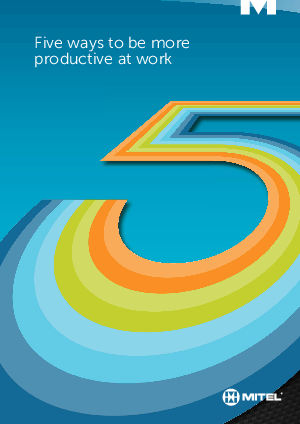 Here are five ways you can improve employee productivity in your organisation.